Floorscapes is a full-scale Calgary flooring provider with over 20 years of experience. Our selection of floor coverings is both quality and extensive: Hardwood, Ceramic & Porcelain Tile, Natural Stone, Cork, LVT & LVP, Laminate, Leather and Carpet. At Floorscapes we have a love and a penchant for tasteful, artful design. We endeavor to contribute to expressive, well-lived in and appreciated homes. To this end, we offer an excellent product, exceptional workmanship and precise scheduling. One of Calgary & area's best kept secrets, our beautiful 5000sq.ft design center is a one stop shopping experience you'll want to tell your friends about. We offer an extensive assortment of the top-selling styles and brands of products. From granite counters to heated floors & hardwood that will fit any style and budget. So whether you you prefer the calming balance of a traditional style, something more edgy and urban chic or anything in between, you'll find exactly what you need to transform your space into the ultimate statement at Cochrane Floors &More. Our exceptional Design Team will work with you and your vision to encompass a style that can stand the test of time and still be uniquely yours. Because quality of work comes first with us, strong client relationships are our priority. It’s our in-depth understanding of customer's needs that enables us to deliver the quality of advice and service they expect. We customize our services for our customers and always put them first. We are Cochrane Floors & More and we have you covered! No job is too small or too big for our company. On the large scale, we have worked closely with a select group of custom home builders handling everything from hardwood, carpet, tile, stone, countertops, heated floors, showers and managing all the design elements. On the other end of the spectrum, yes we'll come out and put new vinyl in the bathroom or carpet in a basement bedroom! We're here to help in every way we can. 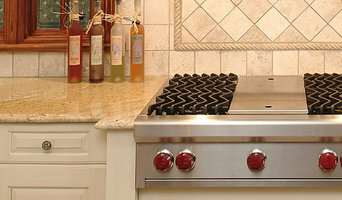 Since 2004, our customers in and around Calgary have known us as Muskoka Kitchens. But that name only tells part of our story. Muskoka Interiors is more accurate. Because whatever your home renovation needs — from kitchens to bathrooms to basements and everywhere in the house in between — we can help. No interior home remodeling or renovation job is too big, or too small, for us to handle. Whatever your interior renovation and remodeling needs, we can help. 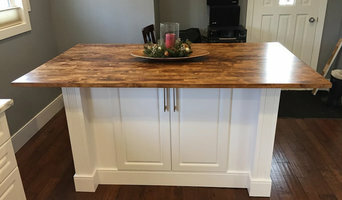 Whether that’s custom millwork, moving or removing walls, renovating an existing space like a kitchen or bathroom, or starting with a blank canvas like an unfinished basement, Muskoka Interiors has the tools plus the experienced and inspired associates to get the job done. We’re a family business, and we’ve been helping families like yours realize their home renovation dreams for over 10 years. In that time, we’ve developed a reputation for exceptional customer service. We know that deciding to renovate your home is a big step and you need to feel you can trust the company you’re selecting for the job. We also know that trust is earned. That’s why we’re pleased to provide you with customer testimonials and references along with images of completed projects. 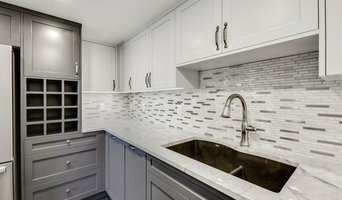 We are a family business with decades of experience and we continue to create quality renovations in Calgary, AB. Our business name, M.A.D. Renovations, is an acronym for our children’s names. 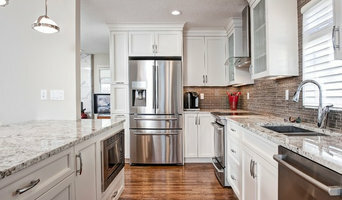 As one of Calgary’s most respected home improvement companies, M.A.D. Renovations has spent years refining a streamlined process that delivers the very best in design, installation and customer service. From start to finish, we guarantee to provide our customers the best experience and support from our professional, knowledgeable and expert contractors and staff. We pride ourselves in offering the most realistic and comprehensive assessment of the requested job. We do this by meeting you, understanding your needs and seeing your space in person. Above all, we are extremely proud of our loyal customer base. The majority of our Calgary construction projects each year are performed for past clients or for people who’ve been referred by them — a remarkable achievement in an industry notorious for really low referrals!